Over the weekend P and I had our (5th!) annual Christmas party. You can read about the 2010 party HERE and the 2009 party HERE. To take a different angle this year I was going to write about the annual cookie baking prep for the party, but as usual I was in a rush, and with the clock ticking and my hands covered in dough, I didn’t take any pictures. 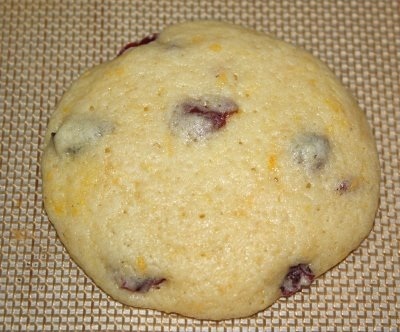 As a compromise I decided to share some of my favorite cookie recipes to make up for the lack of beautiful pictures. I’ve written before about how my own mother wasn’t very big in to (or super good at, sorry mom) cooking or baking–in part because she didn’t learn much from her own mother, who in turn didn’t learn much from hers, because my great-grandmother, having spent much of her young adult life as a cook for JD Rockefeller, was sick of cooking by the time she had my grandmother and never really taught her. Even though my mother wasn’t that great at cooking, she did try… probably because my dad was used to homemade foods from his side of the family. For a few years my mother experimented with homemade apple sauce, and she had a good recipe for apple crisp, and an occasional apple pie. Yet when it came to cakes and brownies they were all “from a box,” and cookies were often made instantly with refrigerated Pillsbury dough (like the kind that comes in a tube and comes pre-designed with red or green dye in the center). As I’ve also mentioned before, when I moved to Massachusetts I was asked by several new Nepali women friends if I could teach them to make “American desserts.” Since much of my experience was of the boxed variety, I decided to do some recipe sleuthing, and find some tasty things to try. Before the end of summer I baked my first homemade brownies. Our first Thanksgiving I whipped out my paternal grandmother’s pumpkin and apple pie recipes. And by Christmas I was in full cookie baking mode. I invited several women over, we pulled our kitchen table out from the wall and covered it in aluminium foil, and baked cookies like there was no tomorrow. Since then, this has become a bit of a tradition– I make a ridiculous amount of cookies, and then serve them at our Christmas party a day or two later. 2. Combine flour, baking powder and salt in small bowl; set aside. Beat butter and granulated sugar in large bowl until light and fluffy. Beat in egg, 1 tablespoon lemon peel and vanilla until well blended. Gradually beat in flour mixture until well blended. 3. Drop 2 tablespoons of dough onto ungreased cookie sheets, spacing 2 inches apart. Flatten dough until 2 inches in diameter with bottom of glass that has been dipped in additional sugar. 4. Bake for 8 to 10 minutes or until cookies are just set and edges are golden brown. Cool completely. 5. 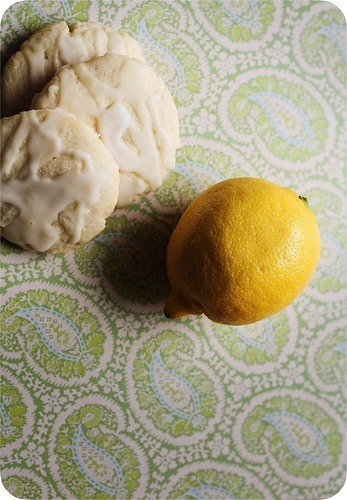 Combine powdered sugar, lemon juice and remaining 1 tablespoon lemon peel in small bowl; drizzle mixture over cookies. Let stand until icing is set. 2. Combine flour, baking soda and salt in a bowl and set aside. In seperate bowl mix butter and sugar until well blended then add the dry ingredients. 3. 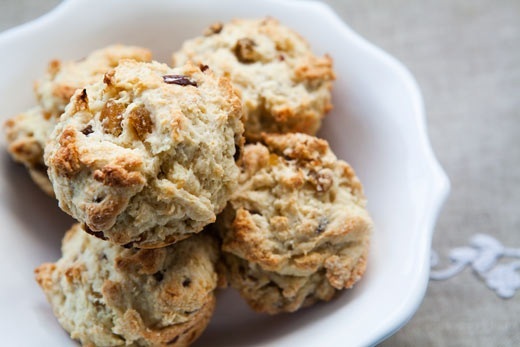 Mix in egg, pour in milk and mix with fork to make a soft dough, add raisins. 4. Knead into a ball, wrap in plastic and refrigerate for an hour. Dough is very sticky and this helps make handling a little easier. 6. Bake for 12-14 minutes or until slightly brown. 1. Preheat oven to 375°F (190°C). Lightly grease cookie sheet or line with parchment paper. 2. In a medium bowl, cream together the white sugar, brown sugar and butter. Stir in the egg, orange juice, orange extract, and orange zest. 3. Sift together the flour, baking powder, baking soda and salt; mix into the orange mixture. Stir in the dried cranberries. 4. Drop cookie dough by heaping teaspoonfuls, 2 inches apart, on prepared cookie sheets. 5. Bake for 10-12 minutes, or until edges are starting to brown. Cool completely. 1. In large bowl, combine sugar and butter; beat until light and fluffy. Add egg; beat well. Add flour and cinnamon; blend well. Cover dough with plastic wrap; refrigerate 1 hour for easier handling. 2. Heat oven to 350°F (175°C). 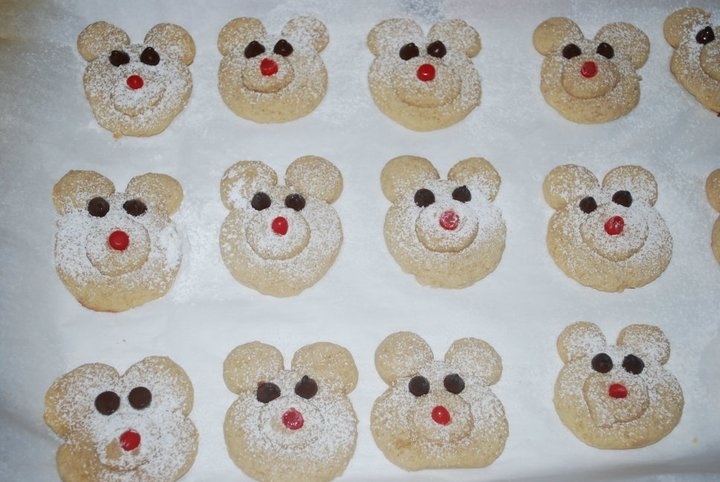 For each cookie, shape dough into 1 inch ball; place 2 inches apart on ungreased cookie sheets. Flatten slightly. Shape dough into 3 (1/4 inch) balls. Place 2 of the balls above and touching larger ball for ears and 1 ball on top to resemble snout. Flatten slightly. 3. Bake for 11-15 minutes or until firm to the touch. Lightly sprinkle cookies with powdered sugar. Press 2 chocolate chips into each cookie for eyes and 1 cinnamon candy for nose. It seems like the northern hemisphere around the world has been blasted with winter weather (a quick read of BBC will give you a rundown of all the cancelled flights and storms in Europe), and I’m happy to report that my little section of New England has finally received a dusting of snow. Not a lot, but enough to say the ground is white (or nearly white, when the grass isn’t poking up through it). Having grown up in the North East of the US, I’m used to a “white Christmas.” Most of my childhood Christmases were white, even if it didn’t start snowing until Christmas Eve. Part of me used to believe that Santa couldn’t come unless it snowed, and that his sleigh was preceded on Christmas Eve by the fluffy falling flakes. As I’ve mentioned before, I grew up in the land of ice and snow (central New York), so this pre-Christmas whiteness has made me happy, it’s about time that it arrived! You can read about last year’s party HERE. The general structure for our party starts with wild cookie baking the night or two before the actual event. I always get over zealous in the cookie making department, and generally fall a bit short of my ultimate cookie goal, but this year I think we did a pretty good job. Out of the 10 batches of cookies I hoped to make, we finished 9, and without realizing it each of the 9 cookies hit a different flavor—we had lemon, coconut, chocolate peppermint, raspberry jam, cinnamon, peanut butter, Irish soda bread, orange cranberry, and ginger molasses! On Saturday the party started around 7 with a round of appetizers and drinks. I debated up until the last minute (literally 6 hours before the event when we finally went grocery shopping), whether to have Nepali or American food. In the past my middle sister K has attended and she would bake the Turkey while I would make a Thanksgiving style meal, but the past two years she hasn’t been able to come. Last year I fell back on our old staples of Nepali food because it is so much easier to cook South Asian food in bulk. Yet since the party was in honor of the American side of our household I really wanted to make American food. Alas, we eventually we settled on a combo–American appetizers: raw veggies and dip, chips and salsa, cheese and crackers; some American entrées: Roasted veggies with garlic and rosemary, sautéed brussel sprouts; some Nepali entrées: two types of chicken curry (drumsticks and chopped meat), cauliflower curry, rice, and kwanti (bean soup); and a random entrée: a recipe inspired by AS—ham, feta and orzo salad. Lastly the dessert was purely American—9 different types of Christmas cookies! Our Irish friend brought “Christmas crackers” for everyone. Crackers are a tradition in Ireland and England, and they were a great idea for the party. The crackers look a bit like empty toilet paper tubes wrapped in shiny paper. Inside the tubes are paper crowns, silly novelty items, and jokes. You pull the cracker with a friend, with one person holding one end of the wrapping, and the other holding the opposite. When you both pull, the cracker makes a “pop” noise and the gifts fall out. For the rest of the night most of our guests were wearing colorful paper crowns which definitely added to the festivity of the evening! The next phase of the party was “Yankee Swap.” I think this game can be played by a variety of rules and can go by different names (“White Elephant” is one) but the way we generally play is that people buy a gift that’s usually around $5—the gifts can be humorous and silly, or they can be regular gifts. I write out numbers on little slips of paper for everyone participating and people pull the numbers ouf of a hat so the distribution is random. All the wrapped gifts are put under the Christmas tree before we start. The first person to go can choose any gift from the tree and unwraps it. The second person to go does the same, but has the option to swap with person 1 if they choose. The third person then goes and so on, with each person successively able to swap their gift with anything else that has already been opened (so it is better to get a higher number rather than lower with the exception of person 1). Depending on the gifts available, sometimes a person might wind up with several different gifts due to swapping, but ultimately ends up with one. The last person to go is “number 1” and they can choose to swap any gift from all that have been opened in the entire game. The group was split this year, with several people giving silly gifts—an orgasmic sound making bottle opener, an “over the hill” themed piggy bank, a candy bra, etc– and many giving more “regular” gifts like tea, coffee mugs, chocolates, etc. The most famous gift of the night was the candy bra, which was swapped around a few times to the cheers of “Candy bra! Candy bra!” Merry Christmas, eh? The remainder of the night was filled with eating, and more eating, and even more eating, as well as lots of drinking, conversation, Christmas carols and fun. So whether or not you celebrate the holidays, we wish you season’s greetings from AmericaNepali and a Happy New Year! PS- anyone have a good Christmas cookie recipe? Wanna swap recipes? There was a funny post today highlighted on the WordPress homepage called, “Why it’s a bad idea to peek at your presents” and I thought it was time for a confessional post about my own childhood Christmas curiosities, and—er—lack of patience? Too bad I didn’t have a character like the “Dad” in this post to “teach me a lesson,” I had to teach it to myself. I promise, I don’t do this anymore, but for a few years in my pre-teen days, I fancied myself something of a Christmas-present-secret-agent. I was getting old enough to know the truth about “Santa” and savvy enough to know my parents had to hide those gifts somewhere, and I loved to find them before Christmas and figure out what they were. It started in the first year or two with the family gifts that began to appear under the Christmas tree in mid-December. Instead of buying gifts for parents and sisters, then hiding the wrapped gifts until Christmas Eve, we would wrap them and put them under the tree shortly after purchasing them. It made the living room all the more “Christmasy” to have a few scatter presents there. I somehow got the idea that I could get a good sense of what the present inside the wrapping paper was if I scratched a bit of a hole underneath a gift tag or bow. Between present size, shape, sound (if shaken) and a tiny peep hole peek under the wrapping paper, I could make a pretty good educated guess. No one discovered my “wrapping peep holes” so I felt pretty daring. The following year I decided to take it a step further, and when no one was around I thought I could sneak a gift to the bathroom, delicately peel off the scotch tape and open the whole edge of a present and see a majority of the box underneath. This gave me an even better idea of what gifts were—but I found that peeling off the tape sometimes ripped the wrapping paper, or pulled off some of the paper design, and the tape wasn’t all that sticky again afterwards—too much chance for discovery! The year after that I got really bold. I figured that my parents hid the majority of “Santa” gifts in the attic, which was tough to get into when people were around. It was one of those attics that unfolded from the ceiling, you had to pull a draw string to open the wooden “door” and a collapsible set of “stairs” descended to help you climb up into the attic space. The “door” was part of my parents’ bedroom ceiling, and the collapsible “stairs” creaked to high heaven when you pulled them down and straightened them out. No chance of sneaking up there when others were around. So I hatched a plan—fake sick, stay home from school alone, and spend the day exploring the attic space and checking out the gifts—remember, I fancied myself a secret agent, I was bubbling with anticipation! Not to mention, my dad had lent me an old rubber stamp making kit that came with an x-acto knife. Due to the tape stickiness issues of the previous year, I theorized I could easily unwrap the attic stash by surgically slicing the scotch tape along the edges of the wrapping paper, unwrap the entire gift, check it out, then refold the paper along the same edges and apply a second layer of tape directly over the tape I had sliced. Presto, who would know? The night before I was to put my plan into action I started turning on the theatrics… acting tired, rubbing my throat, complaining of achiness. I wanted to set the stage for a “I can’t go to school today mom, I’m feeling rotten” the next morning. And so it went—my sisters were herded out the door to the school bus, my mom left for work, and I stayed at home watching cartoons and sipping vegetable soup. I waited an hour or two, just to make sure that no one would come back and “surprise me” while I was frolicking in the attic. Once I felt confident the coast was clear I pulled on the string connected to the attic door, unfolded the creaky wooden ladder/stairs, grabbed the scotch tape and x-acto knife, and scurried up. My suspicious were correct! The attic was brimming with brightly wrapped boxes of Christmas gifts, tucked amongst the rafters and pink insulation. I spent a good deal of time going through the piles to look for gifts, mindful to keep packages in the right “order” so as not to arouse suspicion. I unwrapped and rewrapped most of my gifts, and even some of my sisters’ gifts, just to see what was there. It was great fun, and once it was over, I felt a sense of pride that I was able to pull off this secret agent mission. The rest of the day I was excited. I had this big secret. I knew my gifts, but my parents didn’t know I knew, and I knew my sisters’ gifts but they didn’t know I knew either. However the excitement didn’t last long. After a day or two, I realized that knowing all the gifts kind of ruined the excitement and anticipation of Christmas day. There were no surprises to look forward to, no burning curiosity to keep you up at night wondering, no suspense. As the days ticked closer to Christmas Eve, I realized that by sneaking into the attic and covertly opening the gifts I essentially ruined half the fun of receiving gifts to begin with. Christmas day I already knew how many gifts would be stacked in the living room. Of course it was nice to receive presents, but my enthusiasm was drained. That was when I decided I wouldn’t look at presents beforehand again. I enjoyed the anticipation too much. However somehow my family found out about my sleuthing, and I became notorious for checking out my gifts ahead of Christmas, even though I never did it again. They all expected it, and wouldn’t let me forget it. Even now my younger sister still brings it up. So sometimes it’s better to be good at Christmas time… but to be safe, maybe parents out there should hide their scotch tape and x-acto knives. 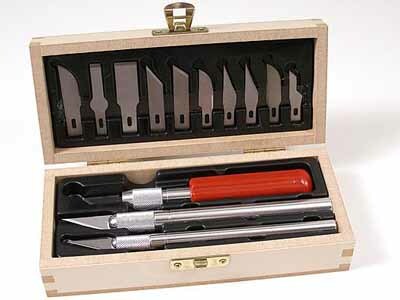 My secret agent kit pretty much looked like this... perhaps I missed my true calling, as a surgeon! My Irish friend encouraged me to write about this topic when he came over for dinner tonight. He helped me put up my Christmas tree on Saturday, and after he left I added the decorations, so tonight he was seeing my full Christmas set up. Two of the new features to my Christmas decoration collection this year are two hand knitted Christmas stockings with P and my name on them. I explained to our friend that this makes P an “official” member of my family since now he has the official family stocking. I don’t remember when the tradition started, but my paternal grandmother was an avid knitter. As each of her children married and each new grandchild was born one of their first Christmas gifts was a knitted stocking with the new family member’s name on it, which matched all the other stockings everyone else had. The uncles had a 2-dimensional Santa face, the aunts had a 2-dimensional Mrs. Claus, and all the cousins had small Santa faces with a 3-dimensional beard that puffed out with yarn. As children we always had our stockings hung over the wood stove downstairs and received small gifts inside. We opened the stocking gifts first before opening the gifts from under the tree. 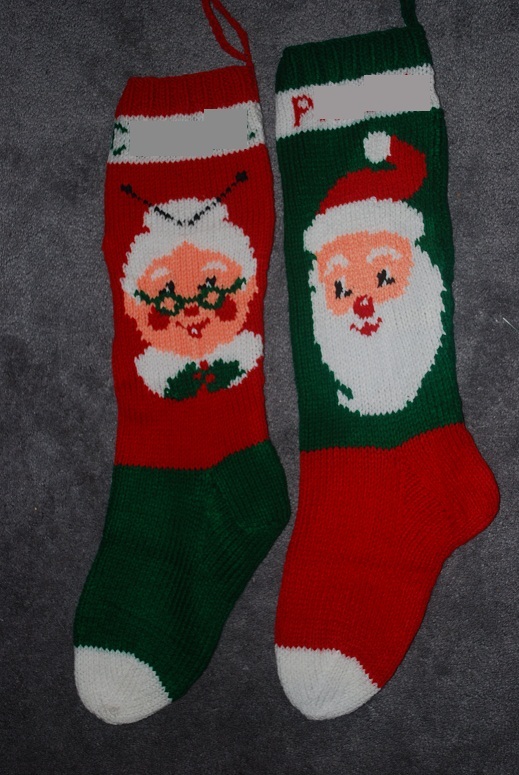 A few years ago my grandmother passed away, but before she did she gave the stocking pattern to my uncle who also likes knitting. When two of my older cousins married they received new “adult” Mrs. Claus stockings, and their husbands received Santa stockings with their names. When my eldest cousin had a kid the new baby also received a new 3-dimensional Santa stocking. So I was excited last Christmas to receive our new stockings. I didn’t think we’d get them until we were married, but we have them now. So I guess P is officially part of the “club” now :) (see below). P and I have also been doing a lot of apartment cleaning/rearranging since the departure of our friends. It was a little challenging to completely “settle in” when we first moved to our new place since we didn’t use certain sections of the apartment. Not to mention (frustratingly) there were a lot of small things around the apartment that were broken by previous tenants, that P and I didn’t have time or patience to fix before (don’t get me started on the landlady who lives thousands of miles away and is not interested in fixing these “small” inconveniencies.). I actually spent a good deal of Sunday afternoon on a ladder 12 feet up in the air replacing venetian blinds and fixing the pulley systems to get them to open and close properly (perhaps working at an engineering college is starting to rub off on me?) Now that the weather is getting cold, being able to close the blinds and keep out the evening draft will be important! Lastly, I’ve also been working on wedding stuff—I found a dress for the American ceremony (hurray! ), we finally locked in the Nepali ceremony site (another hurray! ), and my sister printed “Save the Date” magnets that she designed for us that I am hoping to get out soon (which will be a “hurray!” once they are distributed). I’ve also been working on a website so that invitees can have more information about venues, times, dates, places to stay, etc. I’m hoping to have two pages that explain some of the cultural elements of the “white wedding” and the “red wedding” and for some reason have hit a bit of a wall—I’m not really sure what to include. Perhaps if I have time later today I’ll try to draft something and put it up here for some suggestions. I don’t want to overload people with information, but being an international educator I find the dual ceremonies a “teachable moment” and I want my friends and family to learn more about the traditions involved. So that’s where I am these days. What are you up to? Any holiday/festivals coming up in your households? Do you have suggestions on what to write for Nepali or American wedding traditions?